Surveillance video shows damaged ATM machine at a Walgreen's pharmacy. Photo/Fayetteville Police Department. The period of Oct. 16-22 came with a suspicious and potentially would-be bank robber who was scared off by employees in two Fayetteville banks. The period also came with several entering auto incidents in Peachtree City. Above, surveillance video shows damaged ATM machine at a Walgreen’s pharmacy. Photo/Fayetteville Police Department. Fayetteville Police Department spokesman Chad Myers said a man entered the Bank of America branch on Ga. Highway 314 at 2:16 p.m. on Oct. 18. The man spoke with an employee about making a large withdrawal and was taken to the teller window. The man then said he wanted to make a $10,000 withdrawal but was acting suspicious. The teller activated the panic button and the man soon exited the bank on foot with no further interaction with employees. Myers said PNC Bank near the Fayette Pavilion minutes earlier called in a suspicious person after a man fitting the same description, a black male wearing dark sunglasses, entered and exited that bank. In Peachtree City, three vehicles were entered on Oct. 17 at the Line Creek Nature Area off Ga. Highway 74 West. One of the vehicles was unlocked and two had windows shattered to gain entry. Items stolen included wallets and purses, according to Peachtree City Police Department spokesman Matt Myers. Also in Peachtree City, six vehicles were entered on Oct. 15 at residences on St. Albans Way. A window was shattered on one of the vehicles, while the remaining vehicles were unlocked. Stolen items included a crossbow and cell phone, while most of the vehicles had nothing missing, Myers said. 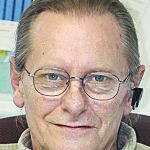 Back in Fayetteville, an entering auto incident occurred on Oct. 17 at a business on South Glynn Street. A woman exited the building to find a window shattered but nothing missing from the vehicle, reports said. 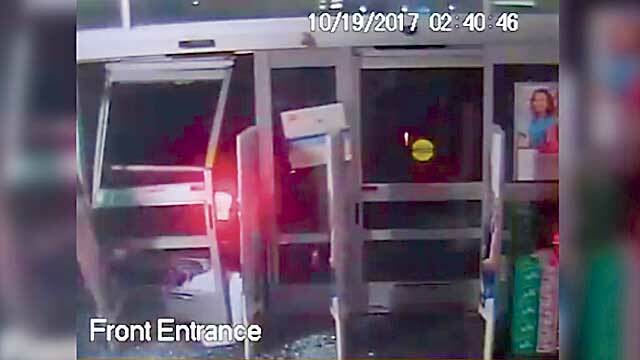 On Oct. 19, a man tried to steal a small ATM machine at Walgreen’s on North Glynn Street by backing his truck into the unit. The man gave up and left the area after two unsuccessful attempts at dislodging the machine, according to reports.